Juliana v. United States was a landmark lawsuit filed by a group of kids in 2015. The allegations? That politicians have a constitutional duty to protect the nation’s children against the negative effects of climate change. The ambitious young gang (ranging from 10 to 21 yrs old) have sued several federal agencies in an attempt to force the government to take action. Obviously this was met with sketchy legal resistance, with the Trump administration filing an attempt to dismiss the suit on the grounds that the necessary paperwork and research would be too burdensome (yeah because moving entire coastal communities is gonna be a walk in the park). Thankfully, the San Francisco–based Court of Appeals just ruled against the Trump administration and the kid’s case is going ahead. Go get em, guys. Up till now, courts have denied citizens the ability to sue polluters for their sins, saying that it’s up to agencies like the EPA to regulate emissions and emitters (good luck with this EPA leadership). But in a major turn this week, a judge has ruled that the cities of Oakland and San Francisco can proceed with lawsuits against oil companies for contributing to climate change and putting their communities at risk. The original request to sue polluters in state court was denied, but in the process the judge surprisingly allowed for the case to be brought up in federal court. This could be big. A door for future lawsuits against major polluters, in federal court, has just been opened. Stay tuned. Local Californians and advocacy groups are coming together to bypass the government and try implement what would be the world’s best legal protection for farm animals. In the US, ordinary citizens can put any measure to direct vote to the public – if they can first collect a hefty 365,000 signatures. As of right now a committed group of activists have already collected an impressive 200,000 signatures and are pushing hard to reach their target before May. The proposed measure would ban cages of any kind for hens, pigs, and veal, forcing all producers to be cage-free by 2019 and provide other decent living conditions like open barn floors and multiple-level aviary for hens. Of course industry is complaining, and the move could hurt some farmers in the short term, but the law would set an impressive precedent. California is the world’s 6th biggest economy, so if this can get to a vote, the world will be watching. 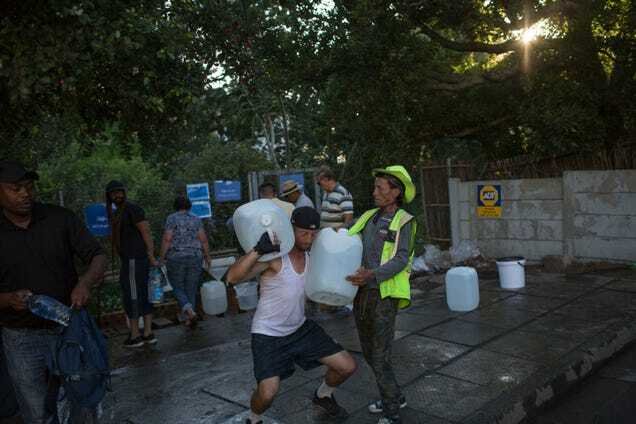 As reported in this Project Earth piece, the city of Cape Town, South Africa was on the brink of becoming the first major urban center to run out of water. A 3-year drought, that many say was partially caused by higher temperatures and climate change, has ravaged the cape area, with wildfires and the looming menace of actually having to turn the taps off and ration water to its citizens. This fear spurred an all-out water conservation campaign, with public appeals to shower in under 2 minutes and re-use household water. And it seems to have worked. Despite continued drought, water levels are evening out and the crisis may have been averted. Having lived in Cape Town during the scare and being forced to measure your daily water usage was a wake-up call. Not only to how much we waste, but to how a bit of conservation can go a long way.